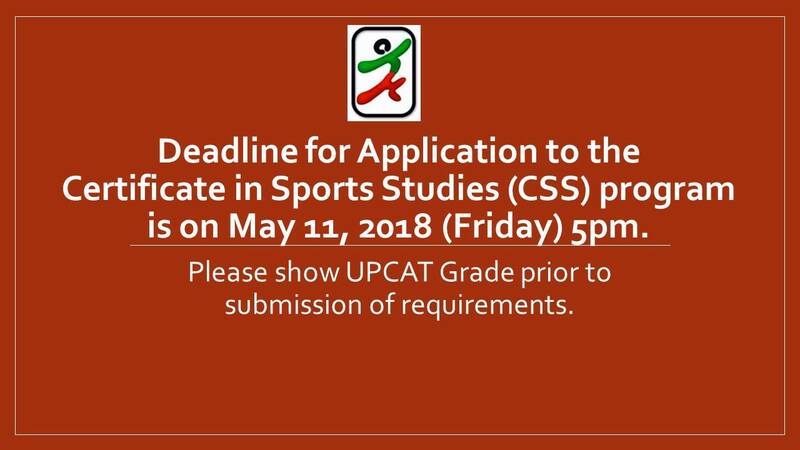 Application for the Certificate in Sports Studies program at the UP Diliman College of Human Kinetics is now open. 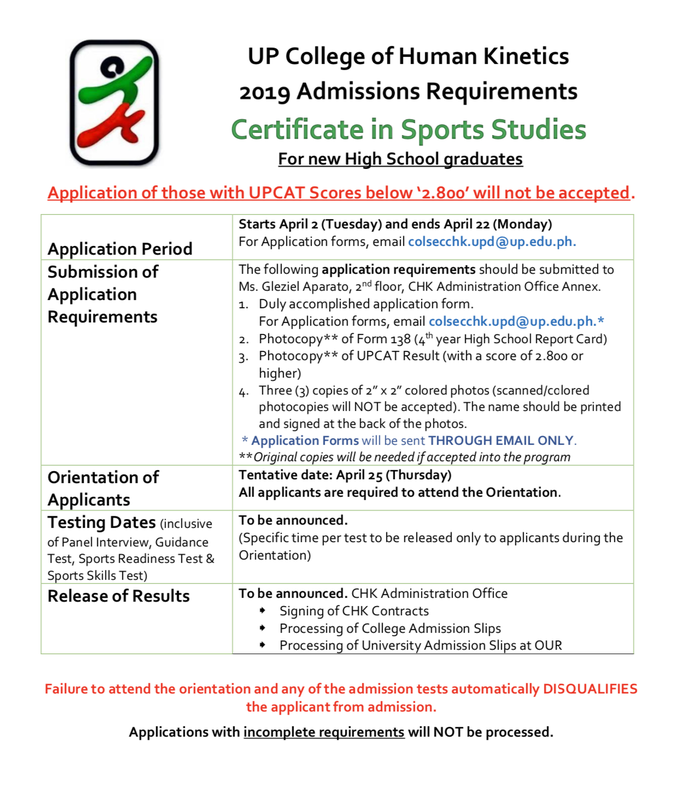 Download the admissions requirement here. 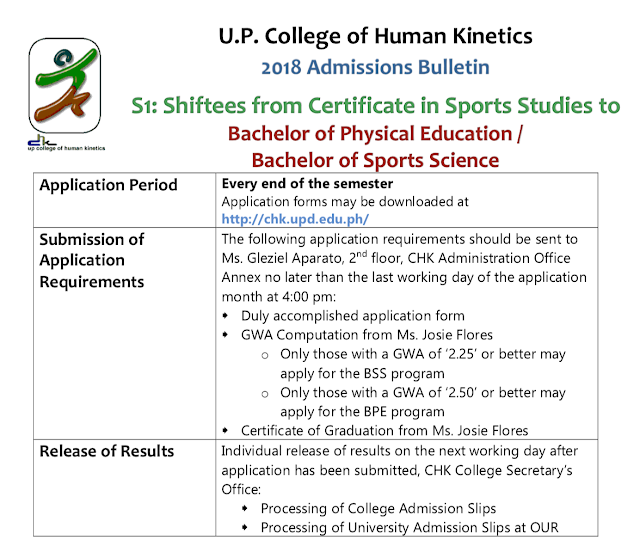 Below are the instructions for students who plan to shift (from other UPD programs to BPE/BSS) or transfer (from other UP campuses or non-UP universities). NOTE: Click the headings to download pdf versions of the instructions.